In the early 1900s, New Jersey's Barnegat Bay was one of the largest oyster producers along the East Coast. Over-harvesting, changes in environmental factors and disease decimated this thriving industry until recently. 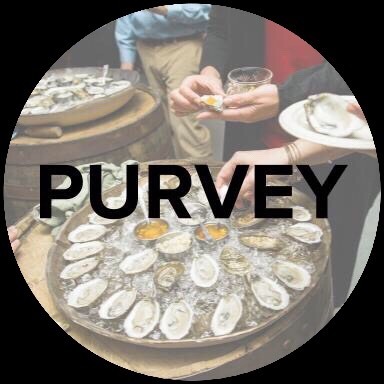 We started Barnegat Oyster Collective to bring together the ideas, resources, and people to back an oyster resurgence in this area. The Collective aims to encourage people to know where their food comes from, to support small farmers, and to make New Jersey an oyster destination once again. Support our work by choosing oysters from member farms, dining at restaurants that source from our distribution network, or even rocking a sweet Collective t-shirt. By doing so, you are supporting small farmers, our local economy, the health of our oceans, and the future of the New Jersey oyster industry. We take great pride in growing damn good oysters. To us, that means pushing the envelope of what is possible, trying new techniques while expanding on the rich library of the decades of farmers who came before us. There is something unique about growing a product that requires care for multiple seasons. While it takes longer than many traditional crops to see the fruit of our labor, it also means we have more time to enhance and perfect the quality and taste. We want to respect the tradition of the industry while also exploring new and innovative solutions to farm better oysters more efficiently. It’s a problem few other industries have - as soon as oysters get pulled from the water, an unstoppable clock quickly starts to countdown on their viability, quality, and taste. Managing a perishable inventory is daunting for small oyster farms. That’s why the Collective is focused on maintaining the ability to ‘harvest to order’. By working directly with farmers and purveyors, we can significantly cut down on the time between harvest and delivery. The Collective operates a HACCP certified facility to ensure all state and federal guidelines are met or exceeded in the receiving and storage of oysters. We constantly monitor their temperature using cloud-based technology. (download HACCP Compliance Letter HERE). The education of our community and your involvement is our life blood. Through farm tours, events, forums and apprenticeships, we are passing on our knowledge of the bay, aquaculture and the industry. We believe that together, we can have a great impact on our environment and our economy. Farmed oysters are making a big impact on their surrounding environment and the health of our ecosystems. We monitor the progress of the surrounding waters of our farms every day. We know that a healthy bay means a better oyster and therefore, working for and with the environment is truly the only way to do business. Our members' oysters are available through a wide variety of restaurants not only on the Jersey Shore but in New York City, Philadelphia, and throughout New Jersey. Our chefs and restaurants are committed to providing the best products and educating their patrons on our initiatives.